Captain Flap Jack is available for a new adventure and needs your help to carry it out successfully. 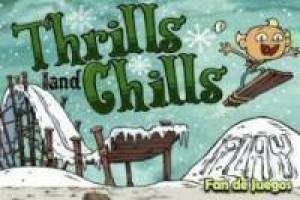 You will have to use the board to slide through the snow, being very careful not to fall. Use your mouse to jump with the help of the ramps and get a great height. The higher you are, the more pirouettes you can do in the air and, therefore, you can get a better score. You must be careful not to fall or you will lose the accumulated points, give the turns that you can see with the jump and do not risk too much. It reaches the end of the game with a big score and tries to overcome it in the following games. Do not wait any longer to play with Flap Jack in the snow. 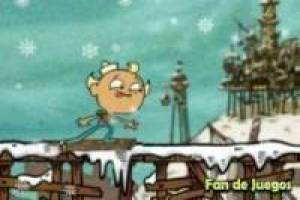 Enjoy the game Flap jack in the snow, it's free, it's one of our Cartoon network games we've selected.